If your kids like spending time outdoors, try bringing them on a nature walk to collect materials for their own art! For example, you might have them collect sticks, leaves, or wilting flowers to tape onto their easel to use as a jumping off point for their art. Sticks make excellent stems for drawing or painting flowers! 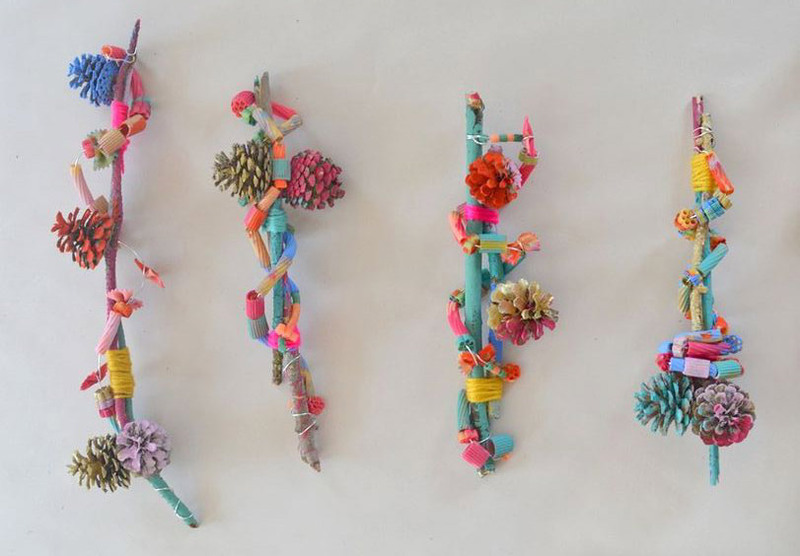 The use of different materials in one art piece makes for more interesting works in which your children can take pride. The time spent both collecting and creating will make for excellent memories. One way to improve connections and creativity for children is to have them try painting or drawing together. Having them make art simultaneously can be a fun challenge that requires they work together positively to make something unique. The children can take turns contributing to the piece or paint side by side. 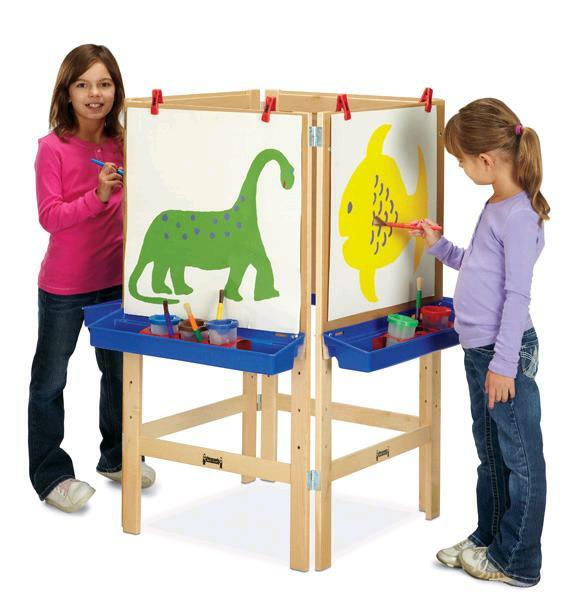 You could even try blindfolding a child at the easel and have another dictate where their brush should go. The possibilities are endless! Stories are an excellent way to get creative juices flowing! One fun activity for your child to practice both their writing and artistic skills is to have them write their own story. Give them ten minutes to write a totally individual story about anything they want. Then, have them paint something that enhances the story they just wrote. Perhaps it’s a map of a fantasy world they just wrote about? Or maybe it’s a picture that accompanies the action of the story? You can even try having them paint first and then write a story about their art! 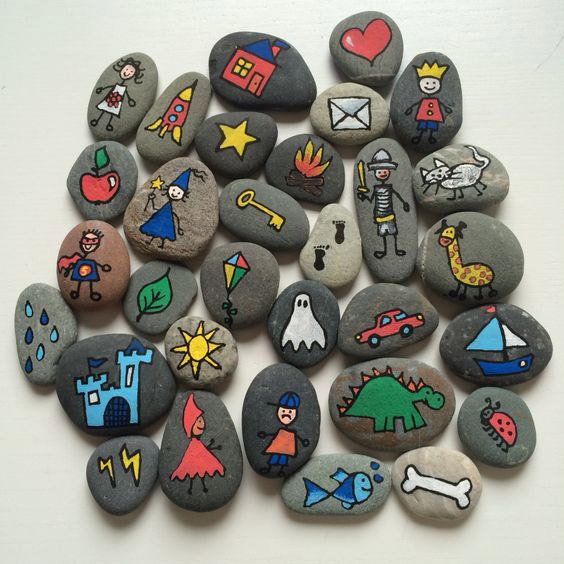 Using painted stones is a great way to get creative juices flowing. 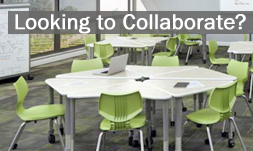 It’s a great way to really get them engaged with their own creativity! So dust off your classroom art easel and give one or all of these fun kid’s activities a try!